Regarded as the world’s best mass produced fighter, it surpasses its competition not only in terms of speed, amazing armament of 2x20mm cannons in the wings, a 30mm canon in its propeller hub and two 50cal MGs on the engine cowling, but also in terms of easy and fast construction time and good reliability in the sky. This fighter can be effective in any role: as a bomber hunter or general interceptor. But it has its bad points of which the two most prevalent are its slow turn speed and its small fuel capacity, meaning it can only operate near airfields. 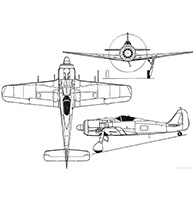 The Focke-Wulf 190 is one of the most versatile single engine aircrafts in Kragen’s air force. Capable of adapting to almost any task, this aircraft is up for any role, some of which include heavy fighter, bomber hunter, ground strike aircraft, zeppelin hunter and many more. It can be armed with a variety of weapons to help it accomplish the above-mentioned tasks; to name a few: all types of bombs, AT gun pods, anti airship missiles, 20mm gun pods and many more. No matter if you are in a ship, tank, bomber or zeppelin, when you see a 190s approaching, you know you are in for a tough fight. A faster and more agile version of the standard FW-190. 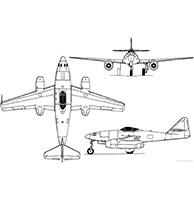 It is more specialized in fighter hunting due to its higher speed and mobility. It, too, can’t mount rockets and bombs which makes it unsuitable for ground attack or anti-zeppelin missions unlike its smaller brother. It mounts three 20mm cannons able to tear through any allied fighter with ease. Its speed is greatly increased by a bigger engine and makes it one of the fastest prop driven aircrafts. In fact, its speed is so good that it can even challenge allied jets in combat with much success. Although it is not as produced as the standard BF 109, it is still one of the most feared piston driven aircrafts that an allied pilot can encounter in the sky. The FA 223 Drache is an all purpose helicopter developed by the 4th Reich in an attempt to increase the mobility of their scout troops and also allow for faster air strikes since the Drache could take off vertically and virtually from any solid surface and does not require a airfield. 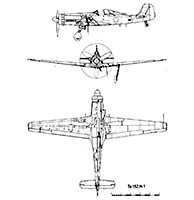 A long fuselage carried by two propellers and a single motor in the middle, the Drache is capable of being armed with a large amount of different weapon systems. Usually, the base model has a 50 caliber MG on its nose that is operated by a gunner. But it could be armed with all kinds of rockets and in some cases bombs on its two weapon hardpoints it has under its propeller. 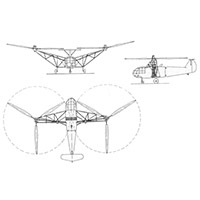 Although quite revolutionary the Drache is an easy aircraft to take down, mostly due to its flimsy construction, large glass cockpit and the fact that it is slower than any aircraft because of it is a helicopter. Nevertheless, to this day the Drache remains a great weapon that can be utilized to carry smaller cargo that is too small for airships and a great air support when aircrafts are not available. The beast that any pilot fears the most is the dreaded ME-262. Incredible speed of 900km/h and unmatchable armament of four 30mm in the nose makes it a true flying monster. Only one burst from its guns can obliterate a B-29 super-fortress and when it is upgraded whit extra boosters, no aircraft in the world can match it, not even the allied jets as it is faster than 1000km/h. What it lacks in turning time and maneuverability, it makes up for by the fact that its speed makes it hard for any aircraft to even come close enough to try to shoot it down. The only drawback to this incredible aircraft is its low speed during take-off and landing, a time at which the aircraft is at its most vulnerable stage. An older but well tested design, the 110 was one of the most versatile aircrafts of the 4th Reich. It could fill out the role of a fighter, a bomber, a heavy fighter and a night fighter. 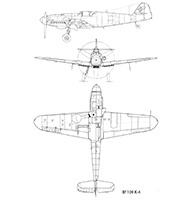 Although now it started to lose its reputation as the most versatile aircraft because of the new designs like the LA-7 and the new spitfires, it still serves as an excellent scout or armed patrol aircraft that scours the borders of the 4th Reich for any lucky survivors retreating or any unwanted guests that want to visit the 4th Reich. One of the largest transport aircrafts ever built. This monster is a flying warehouse. It has the possibility to load a full company of soldiers, two trucks with guns or two smaller tanks. This transport capacity is still unmatched by any allied ground based aircraft. Although they can be armed with an enormous amount of guns and auto cannons, it can also be unarmed so that it can transport a bigger load. By far the best prop fighter under the 4th Reich service. 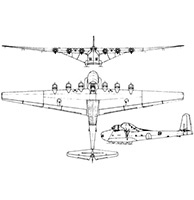 The TA-152 can outmatch any and all piston engine fighters of the allies. It combines speed and agility with a hull similar to that of the FW-190 d/13 and an armament of one 30mm MK 108 cannon and two 20mm cannons. This is the beast you don’t want to face. 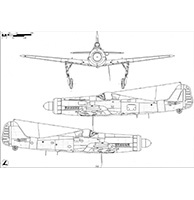 Its large wings make this plane a top class high altitude fighter and a bomber hunter. After prolonged use of the Ju-87G model, the decision was made to upgrade this aircraft. 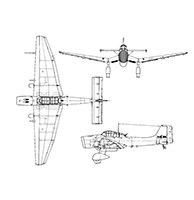 But since there were so many new designs of fighter and bomber planes on the way and the fact that a lot of factories in the 4th Reich were already making the Ju-87 frame it was decided to only change the propulsion of the aircraft and strengthen its frame for higher top speed. 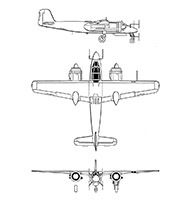 Thus the Ju-87J was made. Where a jet engine similar to the ones on the Me-262 only a bit bigger was fitted under the pilot and the bomb arrangement has been changed a little and two additional MG 131 were added in front of the cockpit on the nose. Thus the speed has been increased from 310 km/h to 510 km/h. 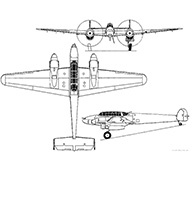 But other than that the aircraft remained the same in its look, minus the propeller on the front.